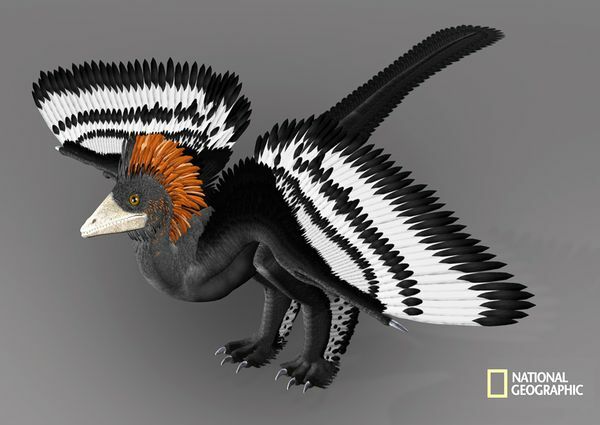 I had heard the news that scientists had discovered a way to reliably determine the color of dinosaur feathers–apparently, in 2008 it was determined that melanosomes, pigment-related cell organelles, had actually survived intact for tens of millions of years in fossils. But I didn't realize that there were already renderings being published based on this new research. It sounds like several teams have been racing to be the first to put out illustrations, so we shouldn't expect this first round to be that reliable. But it's incredible that my daughter will grow up knowing what some dinosaurs actually look like, whereas when I grew up I didn't. 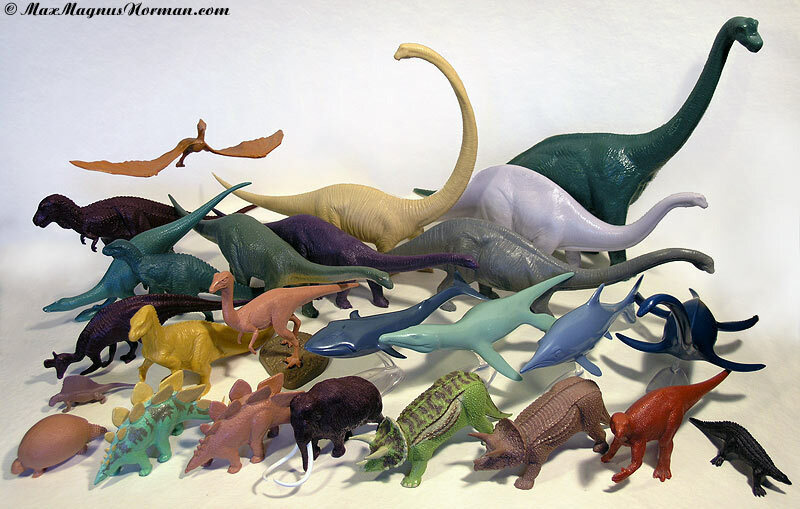 I was a dinosaur enthusiast as a child, and I collected the 1:45 scale models sold through the British Museum (see below). These models started being sold in 1973, and the mainstream understanding of how dinosaurs appeared has changed immensely since then. See a three-dimensional rendering on the National Geographic website, and the abstract of the first paper published in Science.